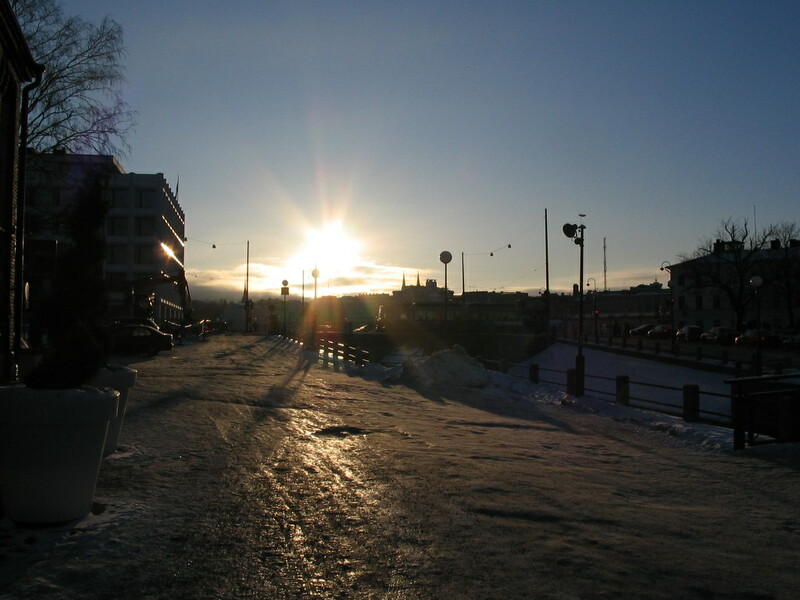 More from Kallio and the adjacent area of Hakaniemi. 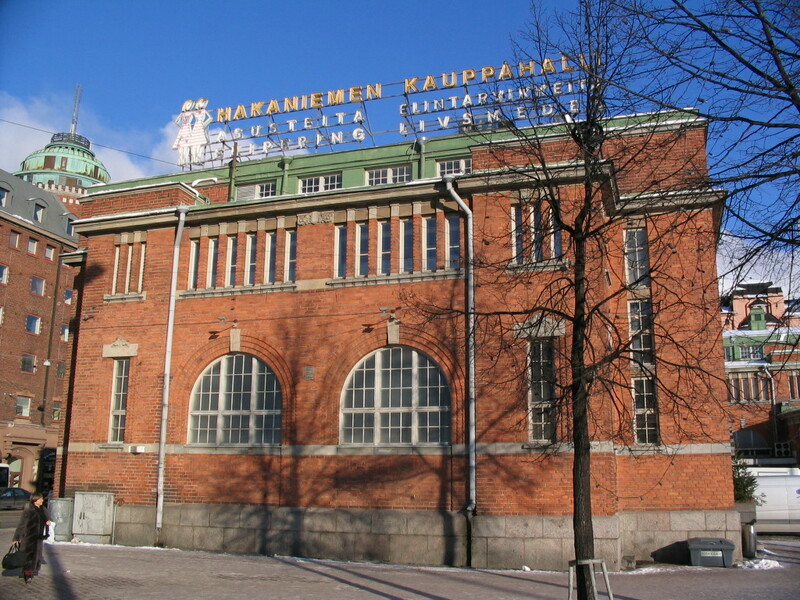 Hakaniemen Kauppahalli, the Hakaniemi Market Hall. I really like this sort of proto-modern style. It sits at the north end of a large market square. 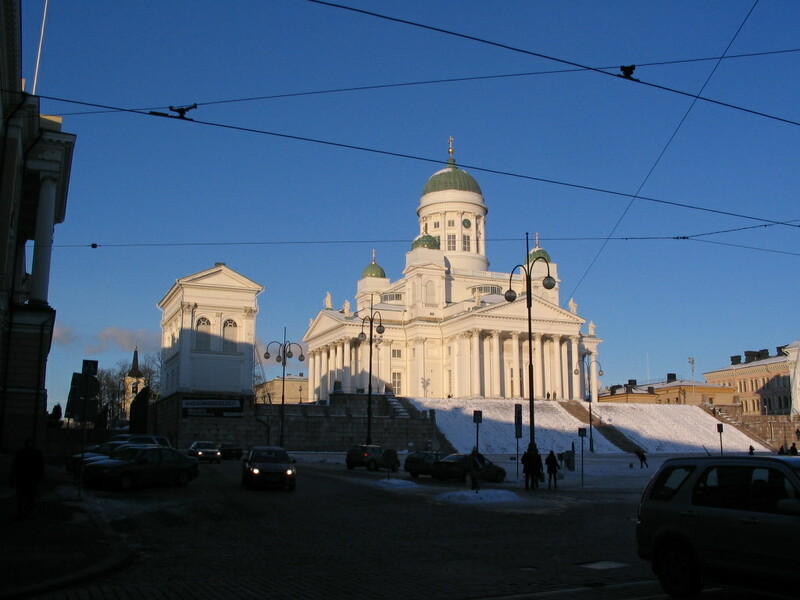 A look south across the market square toward downtown; the dome in the distance is that of the Helsinki Cathedral. 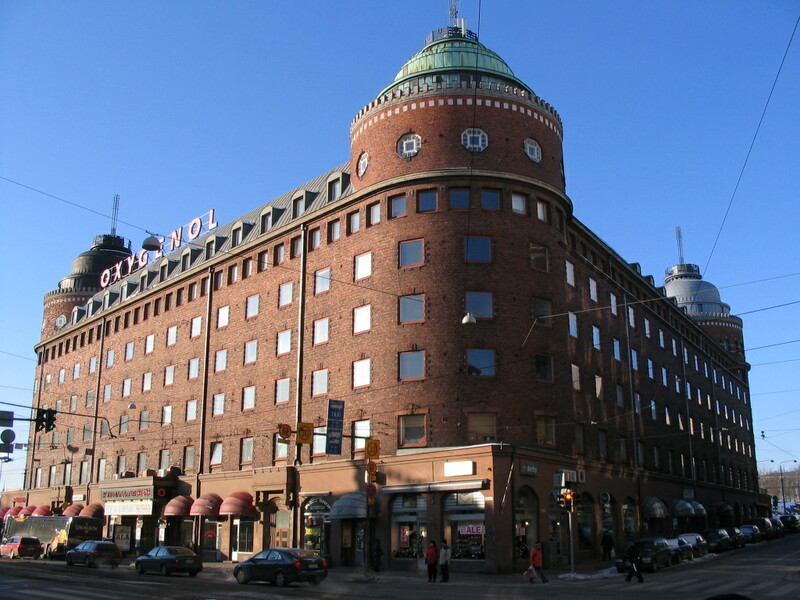 Another proto-modern building adjacent to the Kauppahalli, with these fascinating corner towers. 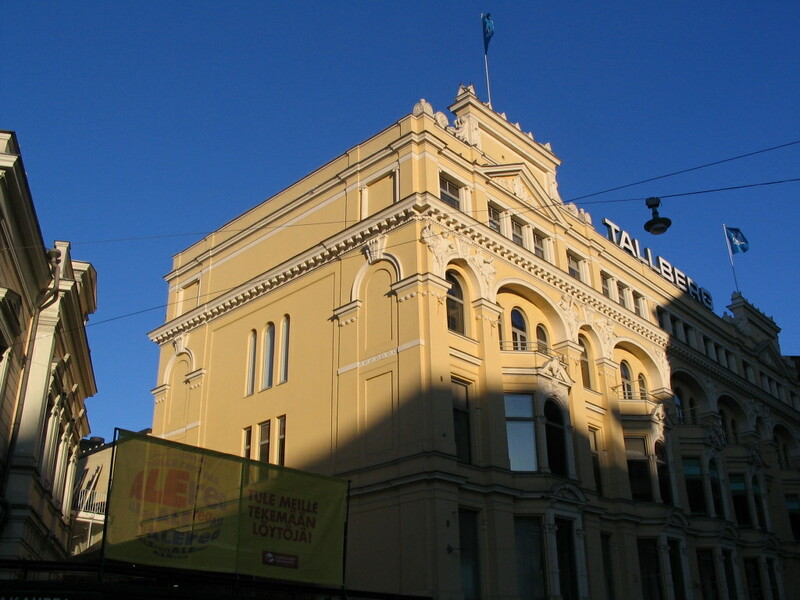 Here are both buildings from the square. I think this was a sport center of some sort, maybe a pool or something to do with skiing. At any rate, I think the shape of the roof is somehow related to the activity inside. 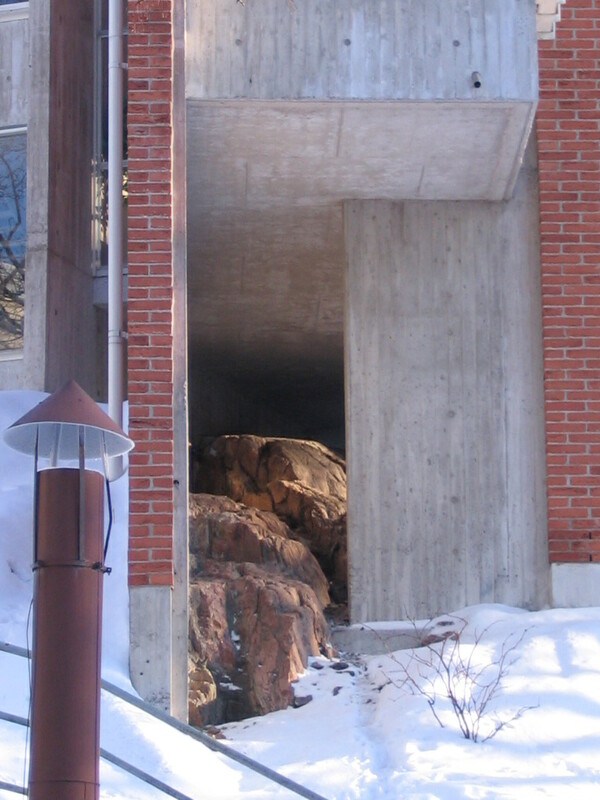 An interesting meeting of natural stone and constructed "stone." 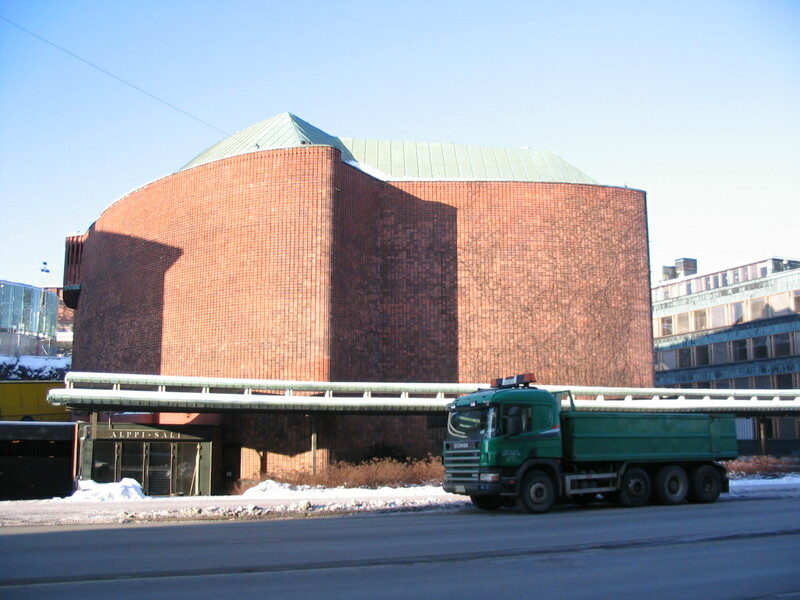 Kulttuuritalo (House of Culture), along Sturenkatu, which is more or less the northwestern edge of Kallio, was designed by Aalto; it was completed in 1958. 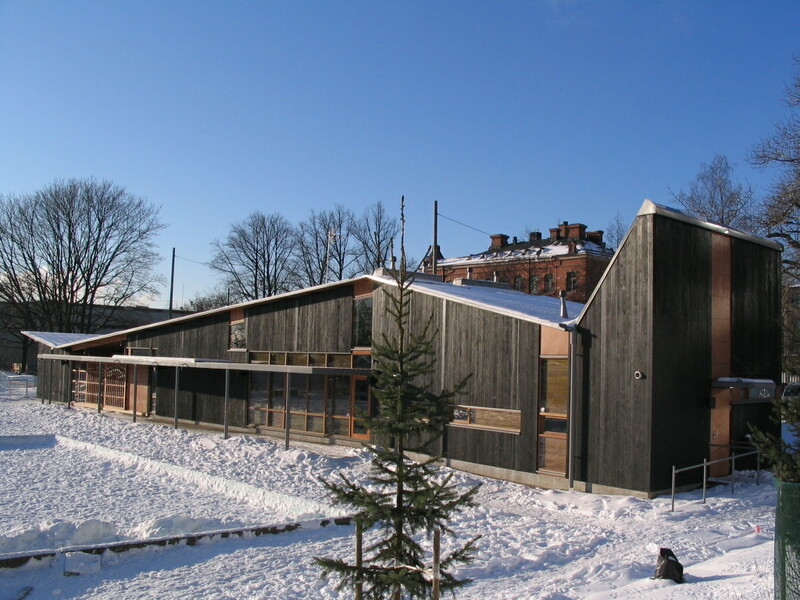 It was built as, and was for decades, a headquarters for the Finnish Communist Party, but it also contains a concert hall that remains in use. From the tram back downtown, a shot of the Kaisaniemenlahti (Kaisaniemi Bay) from the bridge that connects Hakaniemi to downtown. I explored around downtown a little bit afterward and then walked home from there. 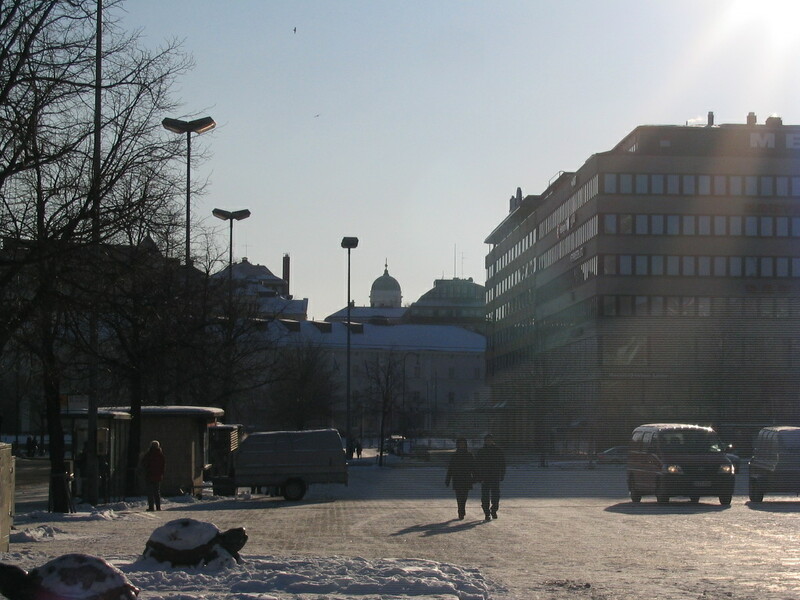 Here, low sunlight on buildings on Mannerheimintie. 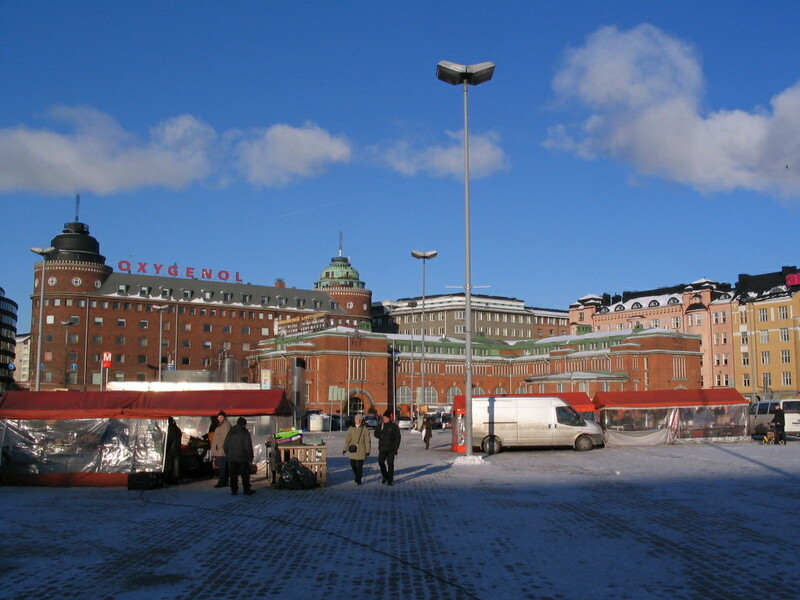 There's a whole network of tunnels among the large stores and transit hubs on Mannerheimintie. 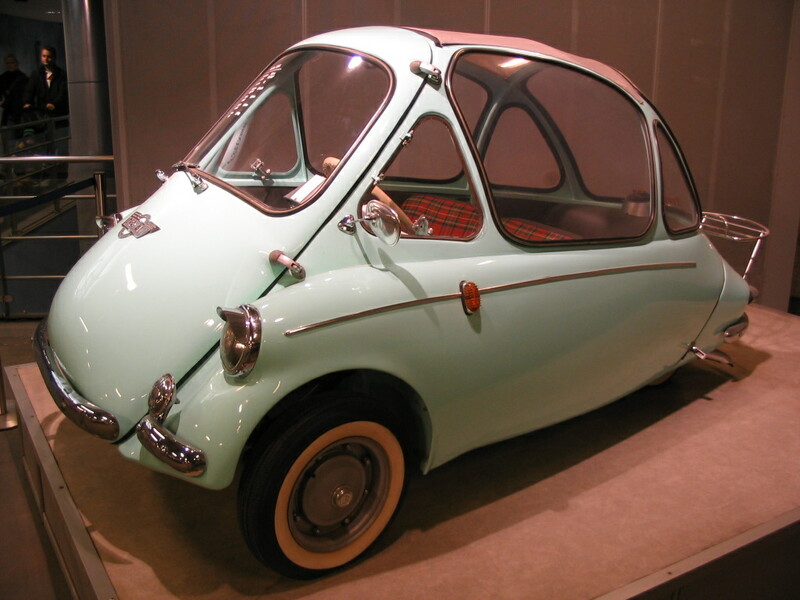 Here is an adorable little trike car on display in one of them. 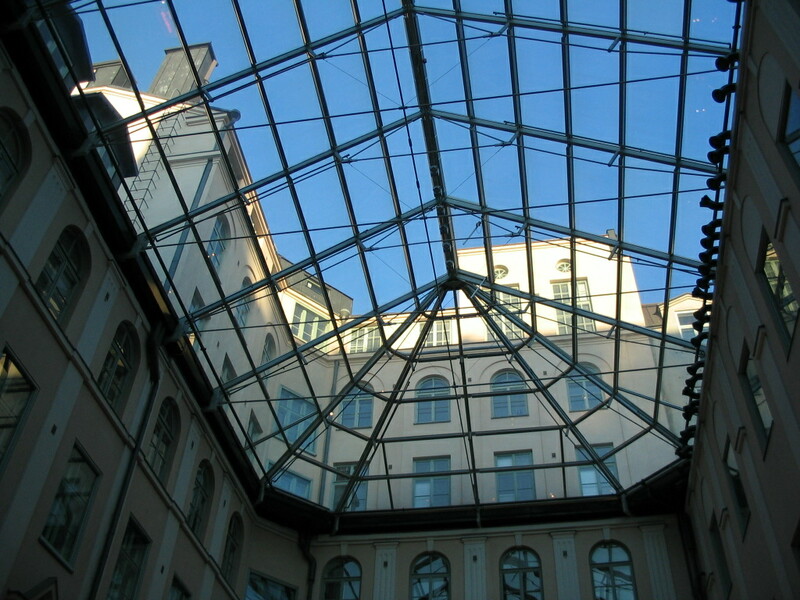 One of the stores has this nice glass-roofed atrium created from a courtyard. Finally a view of Senaatintori and the Cathedral perched adjacent. 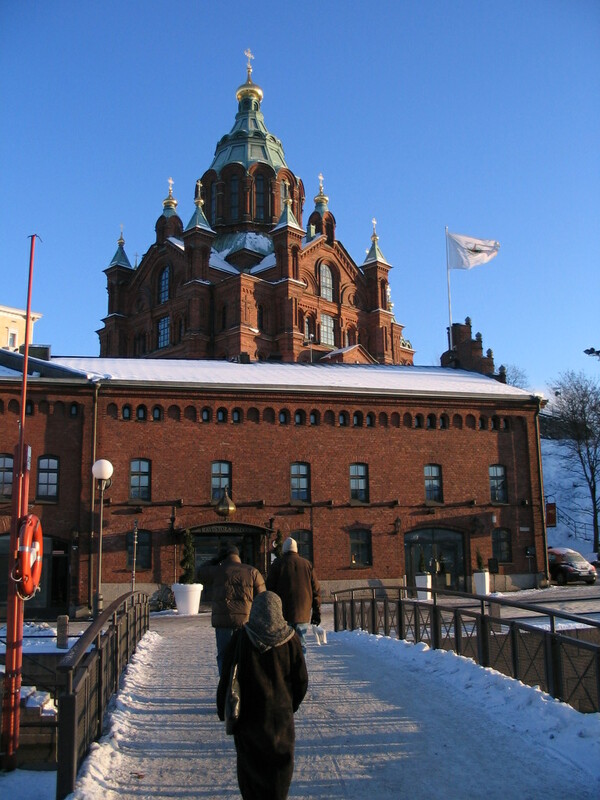 ...And then back by the other perched cathedral, Uspenski, here viewed from the pedestrian bridge to Katajanokka. Here's the canal and the late sun. 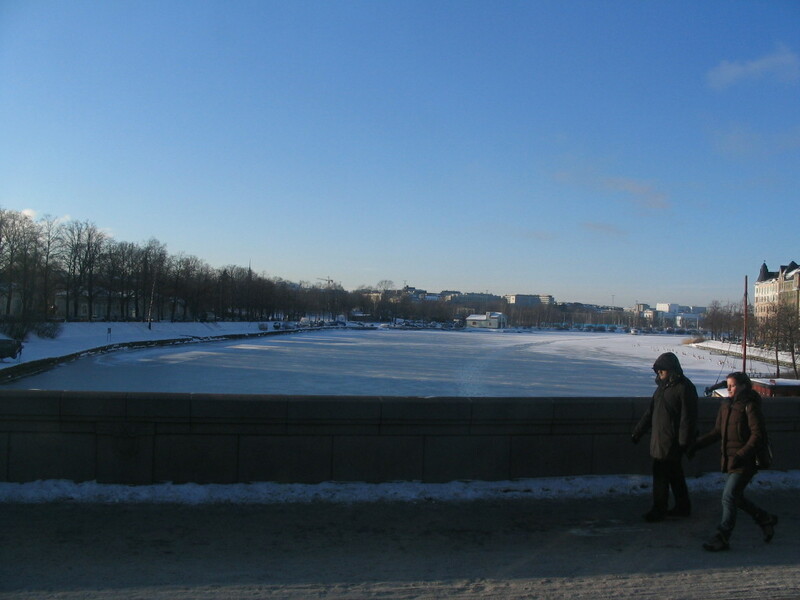 The typically icy canalside way just past the bridge; note also the Enso building to the left. 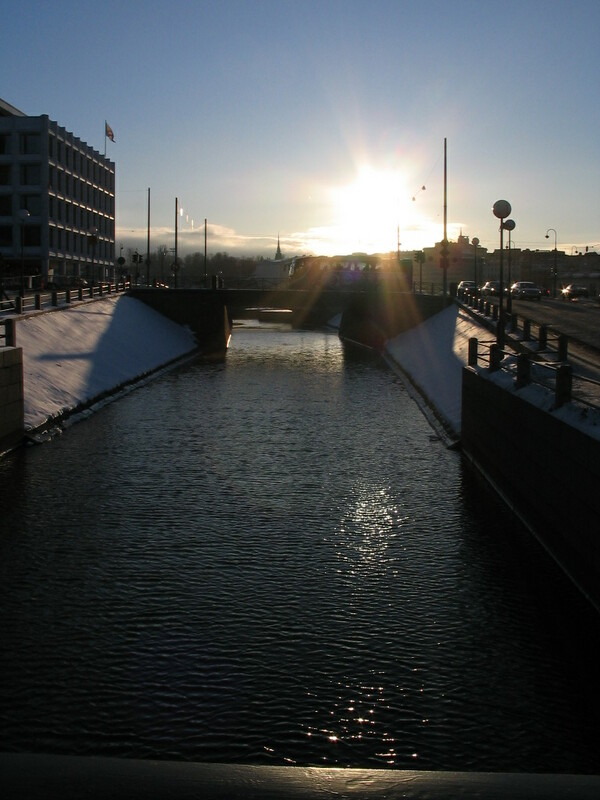 From the same area, a view north across the water and up Pohjoisranta (the North Shore road). 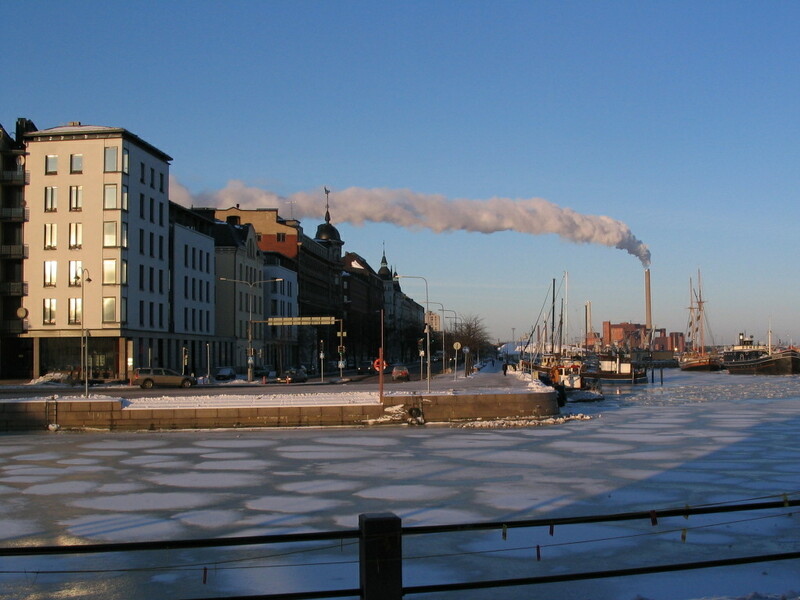 The Hanasaari power station was producing this lovely steamcloud as well.